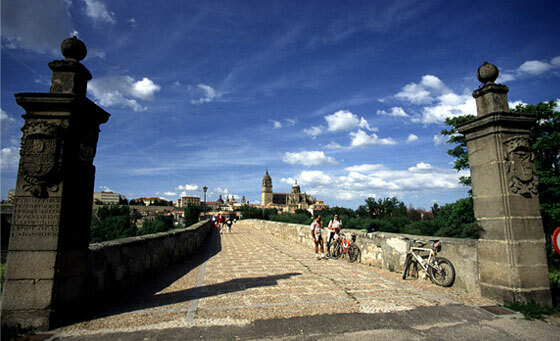 Salamanca started life as a small village atop the San Vicente hills looking over the river Tormes. That was 2,700 years ago, during the first Iron Age, and since then the city has been witness to the arrival and departure of Vacceans, Vettones, Romans, Visigoths and Moors. 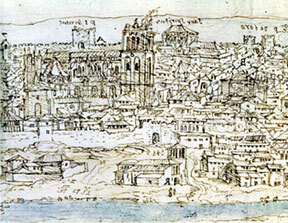 The medieval repopulation was overseen by Raymond of Bourgogne, son-in-law of king Alfonso IV, and set the foundations of a city that following eight centuries amassing both art and wisdom, and thanks in large part to its university, became one of the capitals with the richest cultural heritage in the whole of Europe as well as boasting some spectacular monuments. During the first Iron Age, a small group of farmers residing in a dozen houses protected by a simple wall controlled the ford across the river Tormes. Four hundred years later, the number of dwellings grew to include the rocky platform better known as Teso de las Catedrales or Cathedral Knoll. In the middle of the 4th Century B.C. the ancient Celtic-Iberian town of Salmantica came into its own. . Protected by a stone wall, remains of which can still be found along several streets in the historic centre, the settlement had a definite urban structure that was heavily influenced by the two major pre-Roman tribes: the Vacceans and Vettones. 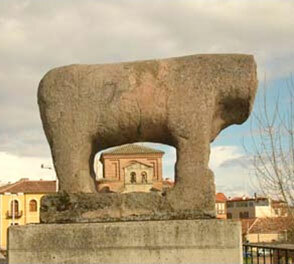 In fact it was the Vettones who have been attributed with the creation of the Bull on the Bridge, a zoomorphic sculpture that has become symbolic of Salamanca. In 220 B.C., the pre-Roman city of Salmantica and its almost 5,000 inhabitants were laid siege to by Carthaginian general Hannibal, assisted by an unexpected troop of some 40 elephants. 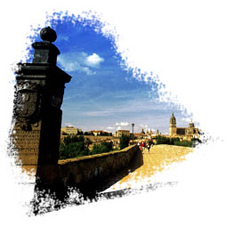 This episode, which put Salamanca on the map, was simply a precursor of things to come – namely a Roman conquest. In the middle of the 1st Century B.C., the Romans turned Salmantica into a civitas (a political community) and a strategic enclave on the Vía de la Plata – Silver Way - trade route. 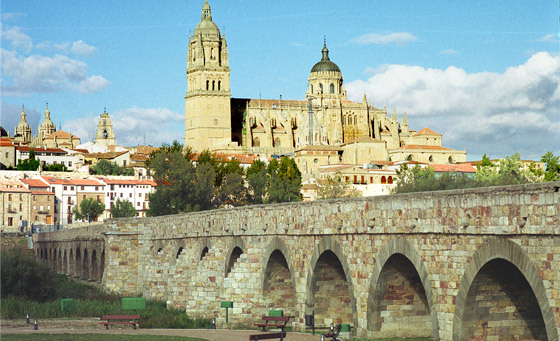 To make things run smoother on this particular stretch (that linked Merida with Astorga), Roman engineers built a large bridge that still spans the waters of the river Tormes. The town, that at that time belonged to the Roman province of Lusitania, was upgraded to a municipality. From the 5th Century, the crisis in Rome and a succession of invasions by the Germanic tribes of the north marked the onset of more than 700 years of decay for Salamanca. Although some documentary evidence shows the existence of several Visigoth bishops based in Salamanca, archaeological remains would indicate the abandoning of almost all the former town centre and a drastic decline in the population who now took refuge in the outskirts of the city next to the river. With the arrival of the Moors, the crisis worsened and the city found itself in a kind of no man’s land: subject to constant attacks by both warring factions. While the Christians from the north failed in their attempts to repopulate the city (including those of Asturian Alfonso I and Ramiro II of Leon), Moorish leader from Cordoba, Almanzor contented himself with launching the occasional attack. Towards the end of the 11th Century, French Count Raymond de Bourgogne, repopulated Salamanca with a large group of people, mostly French and Galicians. 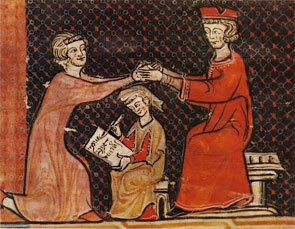 One of his first tasks was to restore the Episcopal See with Cluniac monk Jerónimo Visque in 1102. 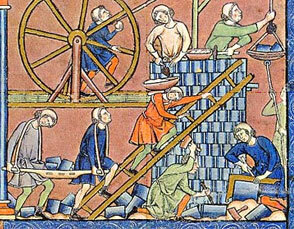 While the different population groups spread out into about 40 parishes, each with their corresponding churches, work started on the construction of the Roman Cathedral, and the ancient Celtic-Iberian and Roman city wall was rebuilt. 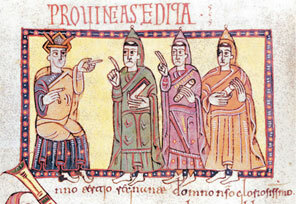 The 13th Century brought with it many changes, some of them essential for the future of Salamanca. 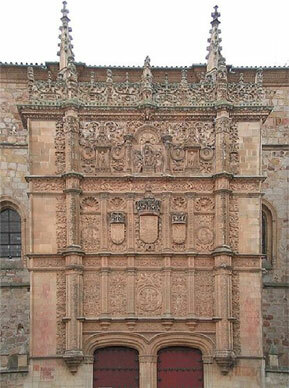 In addition to the charters granted by King Alfonso IX of Leon that attracted new immigrants - including a large Jewish community - the city had its outer walls extended, and in 1218, a turning point for Salamanca, the Estudios Generales (General School), precursor to the future University, was created. After the crisis of the 14th Century, experienced to a large extent by the whole of the European continent, and a conflictive 15th Century, marked by feudal unrest and the Guerra de los Bandos (War of the Bands), Salamanca entered the 16th Century adamant that it was to become the largest renaissance city of the whole Iberian peninsula. Social and economic prosperity, thanks to trade and commerce, income from the latifundia (large estates) and the production of wool aided by the Mesta (powerful association of sheep holders), helped the population to grow to some 25,000 inhabitants. 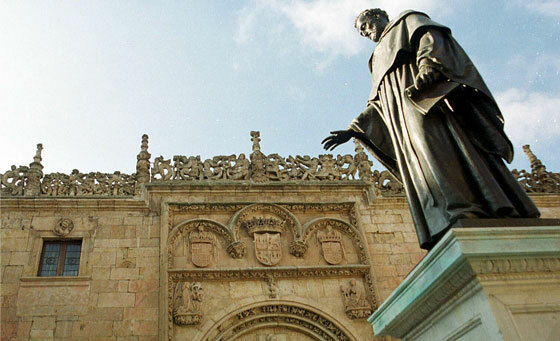 The University also enjoyed a period of great splendour, in its role as a powerful and influential centre of cultural brilliance that captured the imagination of thousands of students from all over, as well as numerous religious orders, searching for intellectual and humanist refuge in Salamanca’s prestigious teaching institution. Salamanca underwent a large phase of construction, including the building of the “New” Cathedral that completely transformed the look of the city..
A number of palaces, large town houses, convents, colleges and university colleges were also built using a very characteristic and autochthonous architectural style: the plateresque. The Spanish Golden Age, culturally speaking at least, lasted well into the 17th Century and coincided with what came to be called the Golden Age of Spanish literature. At that time and in any of the city’s streets, it was not uncommon to come across such world-renowned writers, musicians, philosophers and humanists as Francisco de Vitoria, Friar Luis de León, Francisco de Salinas, Miguel de Cervantes, San Juan de La Cruz, Santa Teresa de Jesús, Luis de Cóngora, Mateo Alemán, Vicente Espinel, Francisco de Quevedo, Calderón de la Barca or Lope de Vega. This remarkable social, economic and cultural upsurge slowly turned into another general crisis that caused a sharp drop in the population and a visible social transformation from which only the ecclesiastical oligarchy came out on top. Despite the prolonged decline, certain Baroque buildings such as the wonderful Clerecía and Plaza Mayor have left their mark on the urban landscape of Salamanca. The negative impact of the war of Independence was followed by economic upturn brought about by the arrival of the railways and the launching of key urban planning projects. This gradual resurgence was also noted in the crestfallen University that now had outspoken Miguel de Unamuno as its Rector. The Spanish Civil War brought with it a new lull that saw Salamanca briefly become the headquarters of the Franquist troops fighting against the Republic. After the conflict and after a long drawn-out postwar period, the University returned to its role as catalyst of city life.